10 Years of Summer Spotlight at TROY! 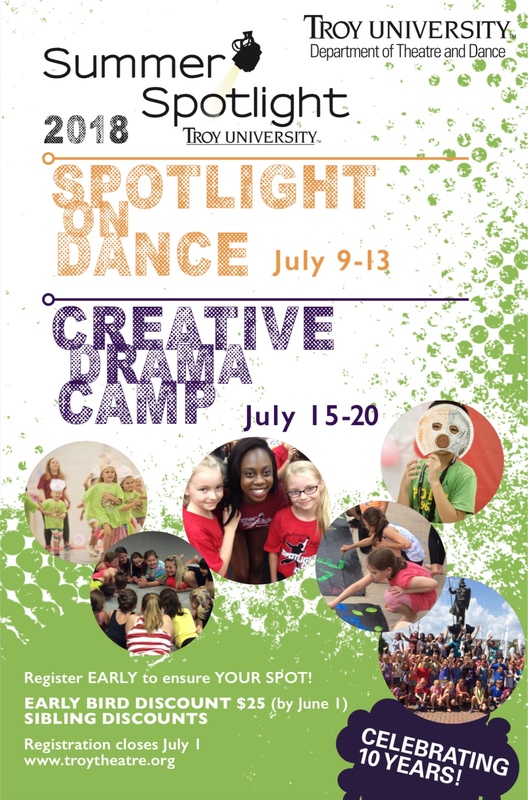 Troy University Department of Theatre and Dance presents its annual Summer Spotlight Series in July of each year for young people looking to grow and develop their interests and talents in the Arts! Since 2009, we've been providing a quality experience at an affordable cost for young artists throughout Alabama and the southeast. Our youth camps are perfect for young creative minds and bodies who want to explore and play! Spend a week on the TROY campus learning about performance and stagecrafts, and finish out the week with a showcase for family and friends. An extra-special treat for our Creative Drama Spotlighters – a Disney KIDS musical performed for the public! 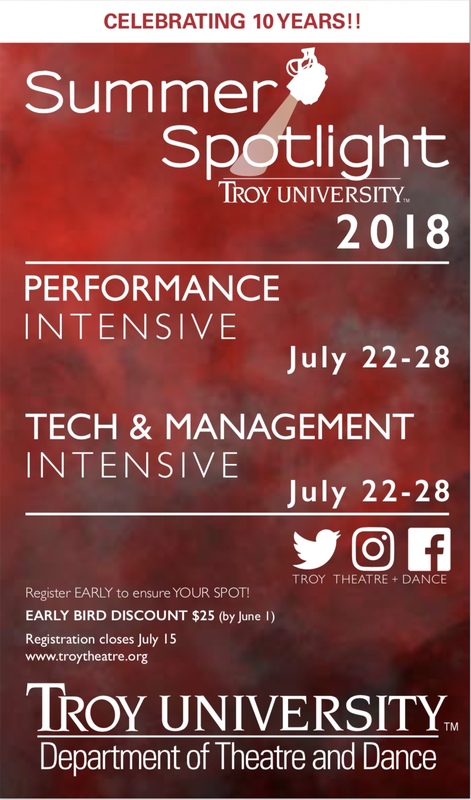 Our Intensives are not camps - they're a chance to immerse in all aspects of performance and technical theatre for six wonderful days on the TROY campus alongside other talented and committed young artists. 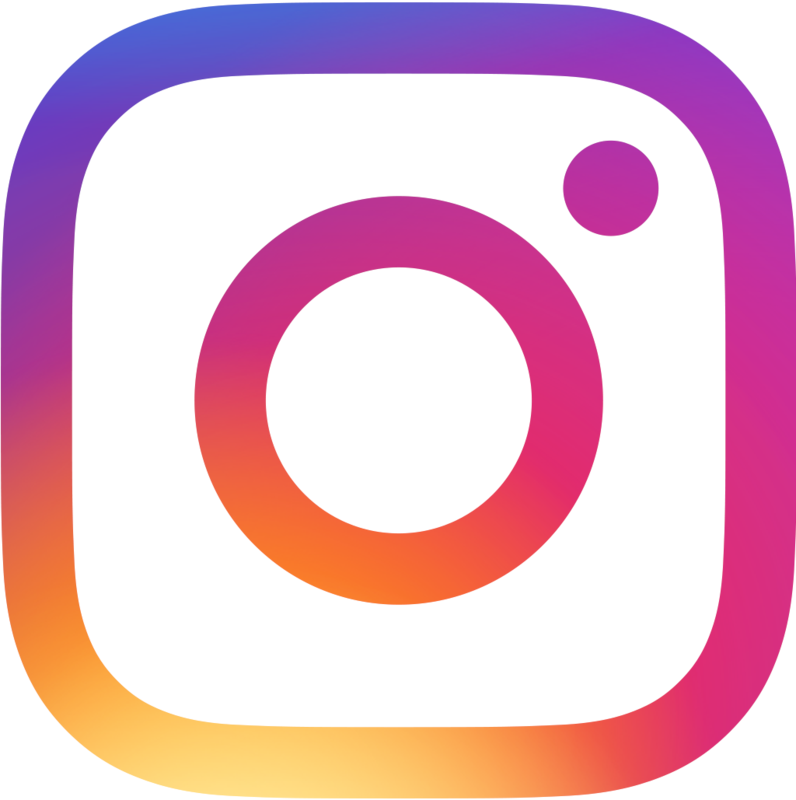 Spend a week with our visiting celebrity guest artists and TROY faculty and student staff, and leave with greater experience, exposure, and confidence…not to mention friendships and memories to last you through the year. Recommended for serious theatre and dance students.